What Are the Least Expensive Granite Colors? When it comes to pricing out a granite countertop there are several things that affect the final total. One of the things that most people do not realize is that the color of granite that you choose is a determining factor. With most purchases, the color does not impact the sale price, but with granite this is not the case. In this blog, we will be going over what the least expensive granite slabs are, and why! Typically, you will see that black and tan granite slabs are least expensive while white is one of the most expensive. Why is this the case when black and white granite are the most popular? In this case, it is because of basic supply and demand. Most readily available granite tends to be darker in color. This is true around the globe. White granite is much more difficult to find and is not commonly occurring in nature. This is why black granite costs less even though the demand for it is high! Therefore, when browsing granite slabs or walking through a granite showroom, focus on darker slabs to make sure that you stay within your budget. You will come across varying pricing systems for granite depending on where you shop. “Granite levels” seems to be the most common. This means that granite colors and patterns are categorized into levels for pricing convenience. If you let your granite salesmen know your budget ahead of time you can prevent disappointment by looking at slabs out of your price range. You will find that darker slabs with pretty consistent movements and patterns are the most budget friendly. The average kitchen renovation will cost from $4000-6000 just for the granite countertops alone. This will most likely include fabrication and installation. Although this is a lot of money, Granite countertops are well worth it and will last forever! Buying granite wholesale is your best option to keep price down. If you are able to purchase slabs for your granite countertops directly from a quarry or from wholesale distributor your final price will be much lower. Therefore, purchasing your granite countertop from Granite Liquidators is your best bet! By cutting out the middle man we do not need to mark up prices. We also have the largest selection of slabs in the city. Granite Liquidators also offers a “Preferred Fabricator” program so that you can work with experienced fabricators at a reduced rate. Granite truly comes in colors ranging from white to black. Believe it or not green, red, pink, and blue are naturally occurring colors and are on the granite spectrum. Depending on the movement and pattern of the granite slab the pricing will be different. These granite colors are specific to certain parts of the world because they take special rock and mineral configurations for them to be created. Since these are exotic and striking granite colors, you will most likely be doing smaller countertop projects with these tones. This will reduce the cost because you will not have to necessarily purchase full slabs. 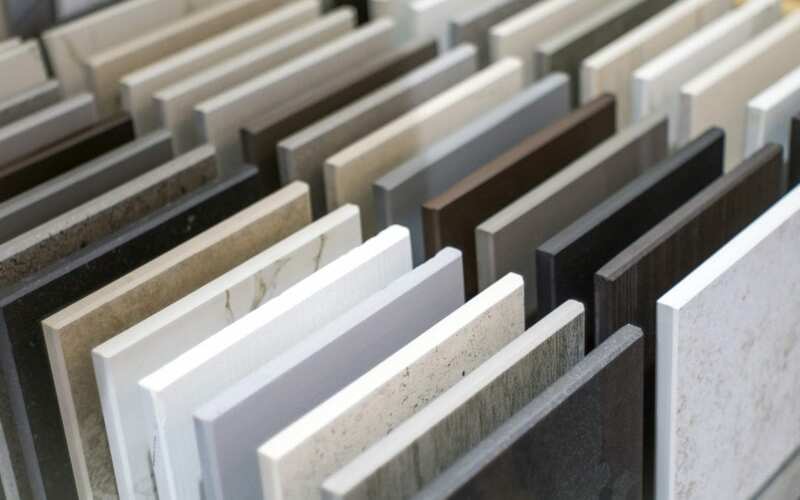 Because there are so many color and pattern options available in granite it is best to have an idea of what you’re looking for before you actually head out to view slabs. By nailing down a firm design plan this will make the selection of your granite slab much easier!